Special CNC machine for punching and marking of steel plates in the field of steel tower industry. It is also used to punch and mark of steel plates of Other industries. 1. 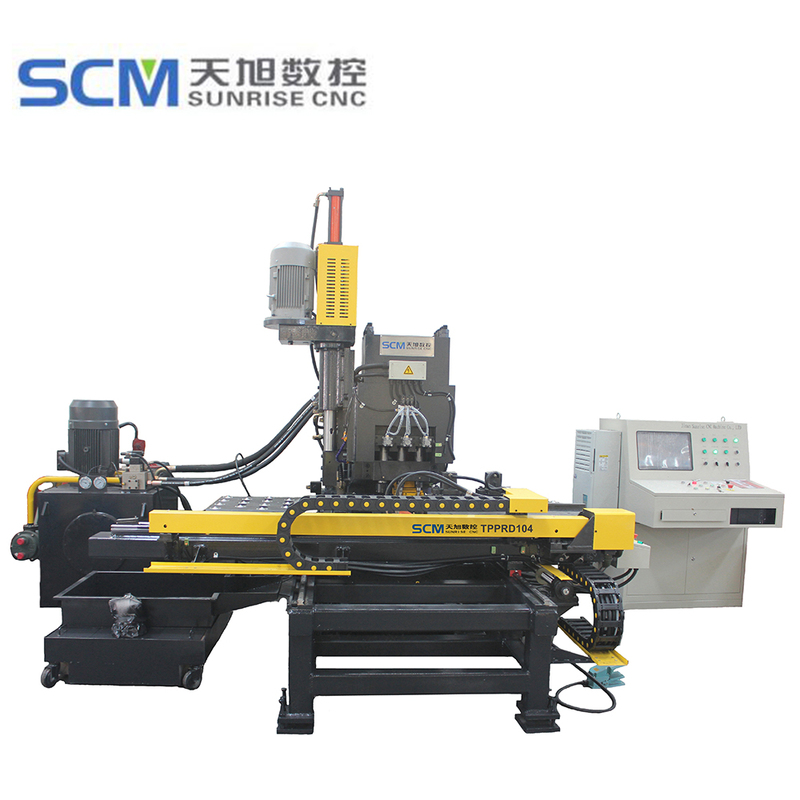 The machine-frame is made by C-type plate welding, with good rigidity and big handling space. The machine sets three die-stations (two punching, one marking), automatic switching die-stations. 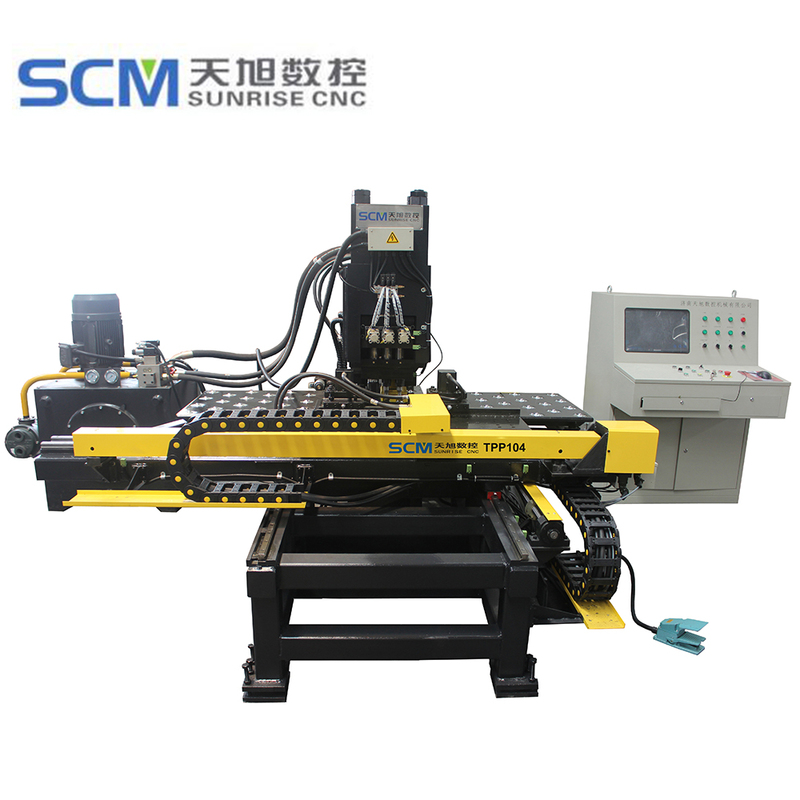 Clamping system can be adapted to different workpiece, with reference block, and workpiece supported by rolling-ball working table. 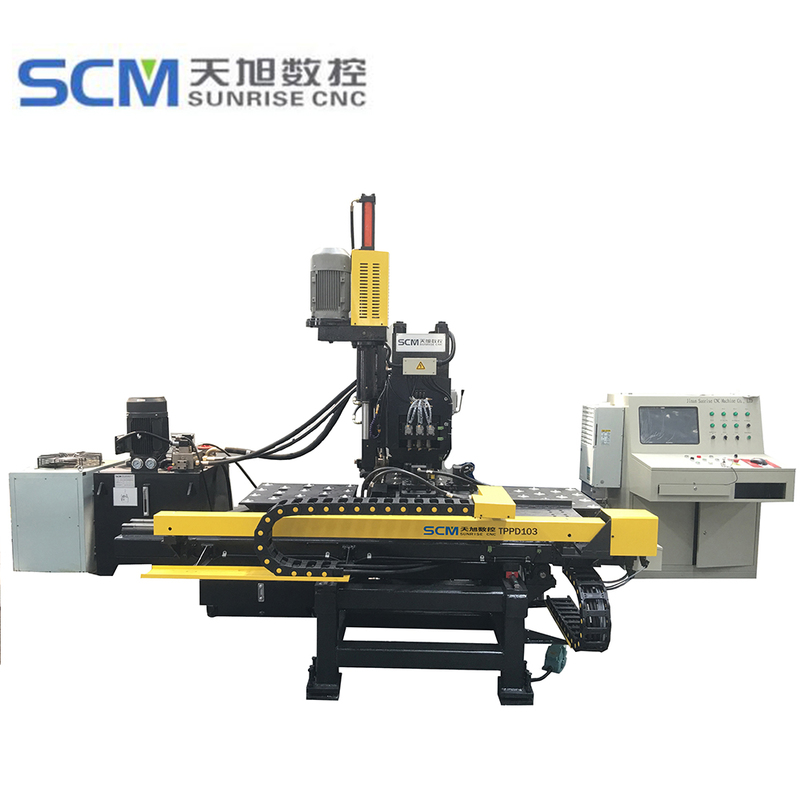 X & Y axis action controlled by servo motor and ball-screw driving and PLC, control the position of punching, so as to make the whole machining process automatically. Operator input the workpiece program, it can be used repeatedly2. Adopt CNC technology, servo motor infeeding, with high efficiency, stable workpiece precision. 3. Important functional components adopt modular assembly, easy to repair it.4. Achieve punching and marking on the one plate.5. Easy programming, can read CAD drawing and also can use the program generated by lofting software. It can ready TEKLA lofting software files, such as NC1 format. ■Hydraulic station adopts dual-pump and single motor. 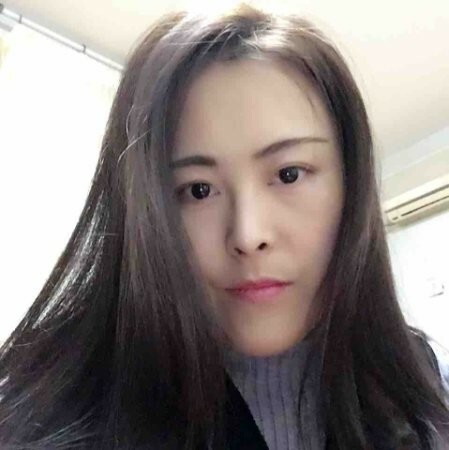 Punching speed is faster than other company`s, so it is more efficient and improve the workshop ability. ■It adopts sleeve-type coupling for all pipelines, which avoid leakage. The main communication cable is shielded twisted pair cables world famous brand, which works well in resisting interference. If any part model is upgrade or changed, we promise to use same quality level part to replace it. Looking for ideal Punching Machine for Plate Manufacturer & supplier ? We have a wide selection at great prices to help you get creative. All the Plate Punching and Marking Machine are quality guaranteed. We are China Origin Factory of Plate Punching and Drilling Machine. If you have any question, please feel free to contact us.